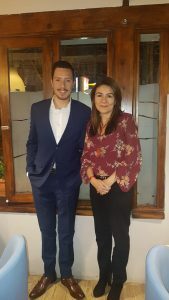 Latin American Policy Manager Jaime Chávez Alor traveled to Guatemala to explore with Acción Ciudadana and other Vance Center partners initiatives related to combating corruption, including the role of the Lawyers Council for Civil and Economic Rights and other lawyers in this endeavor. Manfredo Manrique, Acción Ciudadana´s president, identified specific topics for collaboration with the Vance Center, and José Quiñonez, a partner at the QIL+4 law firm, emphasized the importance of participation by business lawyers, based on the importance of the rule of law for the business climate. Chavez Alor also met with the law firm Carrillo & Asociados, whose name partner Alfonso Carrillo is of the members of the Lawyers Council. 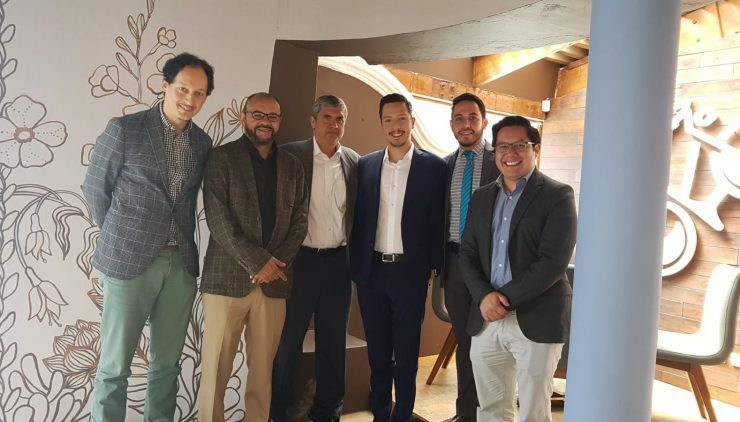 Partner Luis Mazariegos and senior lawyer Emanuel Callejas presented a diagnosis of the legal environment in Guatemala, including opportunities for new projects in the region. In a meeting with Claudia Murga, Executive Director of Fundación Pro Bono Guatemala (in formation), Chavez Alor discussed the participation of that organization in anti-corruption efforts, human rights projects, and engagement with law schools and universities to promote pro bono work as a fundamental component of the legal profession. The Vance Center recently has provided pro bono help to several Guatemalan NGOs, including Acción Ciudadana, regarding international transparency and environmental standards and laws, and Bufete Jurídico de Derechos Humanos, regarding Guatemala’s international obligations to human communities in environmentally protected areas. Guatemala also was among the Latin American jurisdictions on which the Vance Center researched the causes and consequences of women’s incarceration, with a goal of seeking greater adherence to the UN Bangkok Rules. The Vance Center also has organized two missions to Guatemala: in August 2013, to assess the potential effects on the rule of law and the Guatemalan business climate of the prosecution of former President Efraín Ríos Montt; and in July 2014, to assess the ongoing process of appointing judges to the Guatemalan courts. 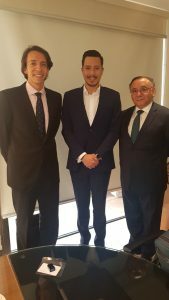 Executive Director Alexander Papachristou also participated in a Panama City meeting of anti-corruption prosecutors from Guatemala, Panama, and Honduras in 2016, organized by client Transparency International.